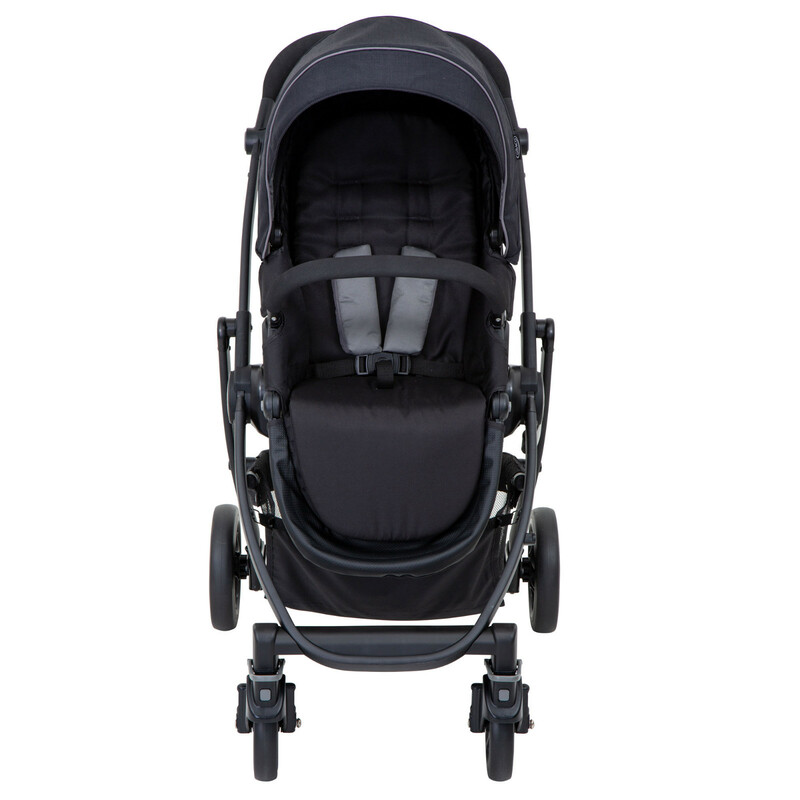 The Graco Evo Pushchair stroller is suitable from birth and benefits from a full lie flat seat unit which can also be fully removed, turned round and re-attached so that it faces the opposite direction. 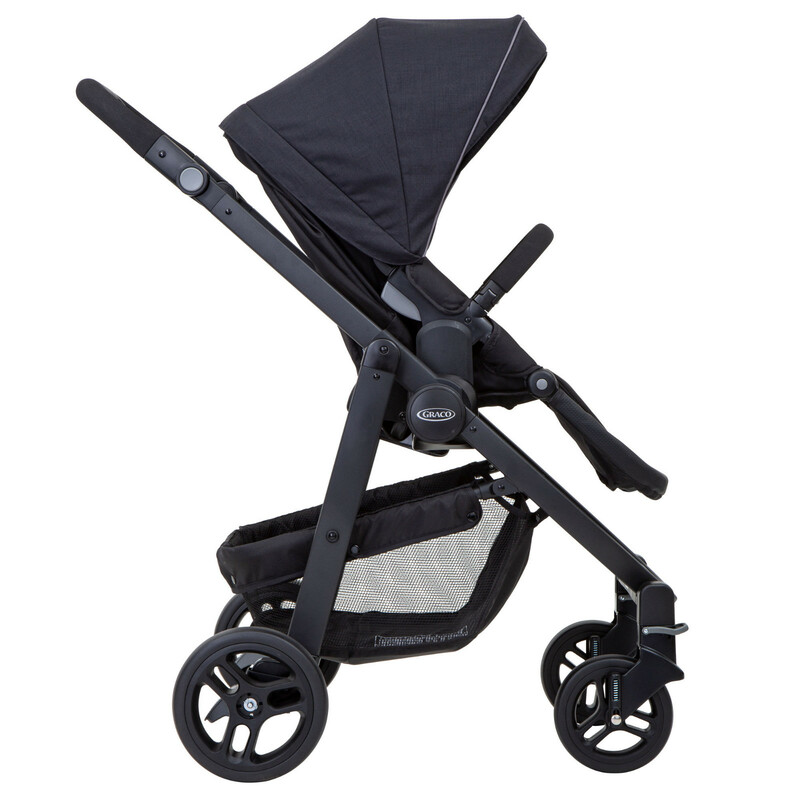 The 2 way facing pushchair with its reversible seat unit also comes with adjustable calf support, a large shopping basket and enjoys a convenient easy to use ‘one hand fold’ for speed and flexibility. The Graco Evo Luxury carrycot is suitable from birth and can be paired with all Graco Evo pushchairs to create a luxurious lie flat pram. In the carrycot, baby faces you, promoting eye contact and direct interaction. Suitable for occasional overnight sleeping, the carrycot includes a luxury newborn insert to keep baby warm, a firm mattress, apron and a reclining canopy with integrated handle. The Group 0+ Snugride Car Seat from Graco is suitable from birth and provides exceptional levels of safety when venturing out in the car. With innovative side impact protection and 5 point safety harness this offers a comfortable and secure way of travel for your little one. 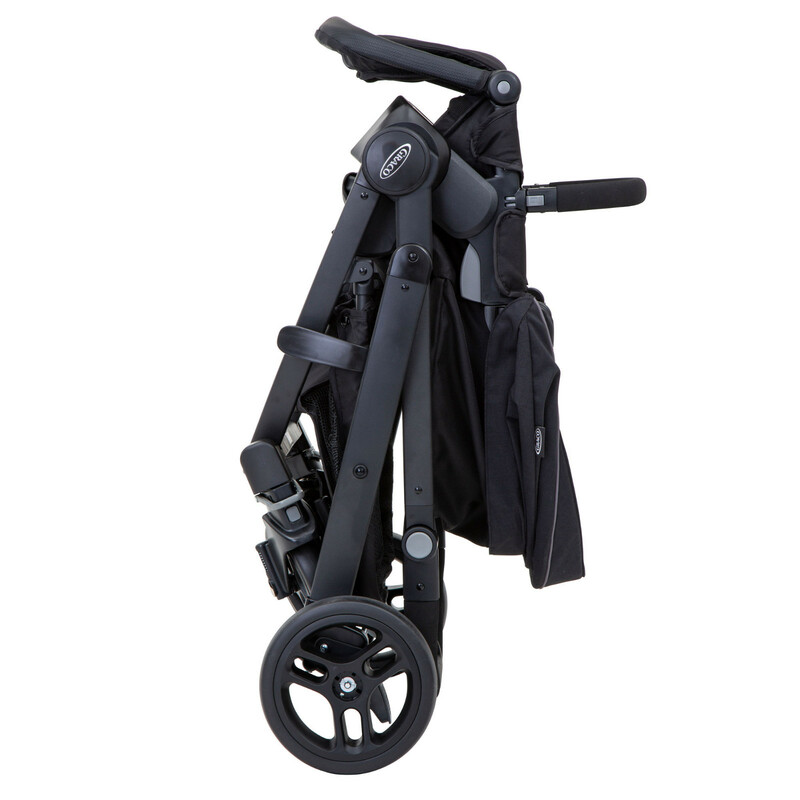 Its lightweight yet secure design enables you to easily transport with just one hand. An additional (removable) padded insert is included for newborns and smaller babies whilst the addition of a matching hood means babies are protected from the elements. 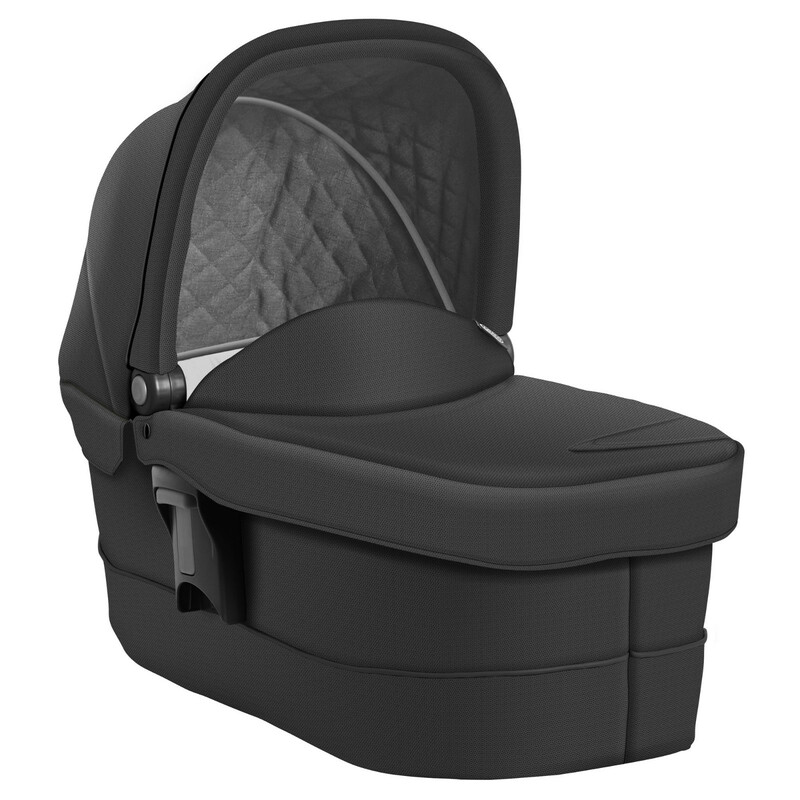 With a stylish design mixed with high quality features, the Infant Car Seat is lightweight and easy to carry whilst maintaining impeccable safety standards. 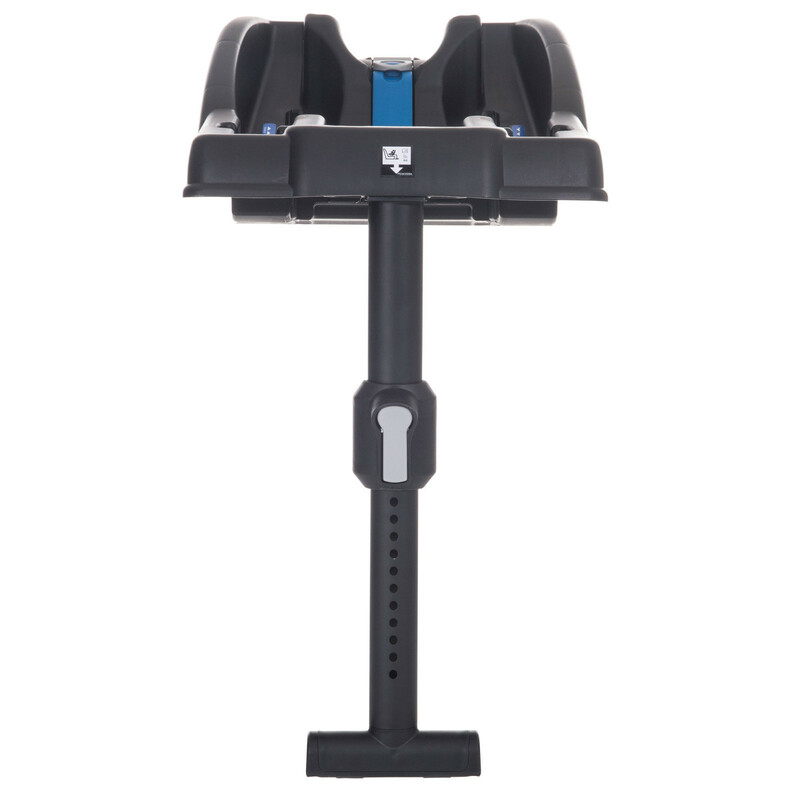 Providing you with a great deal more convenience when securing your SnugRide infant carrier into the car, the Graco SnugRide R44 Car Seat Safety Base speeds up the process and reduces the potential for installation errors. 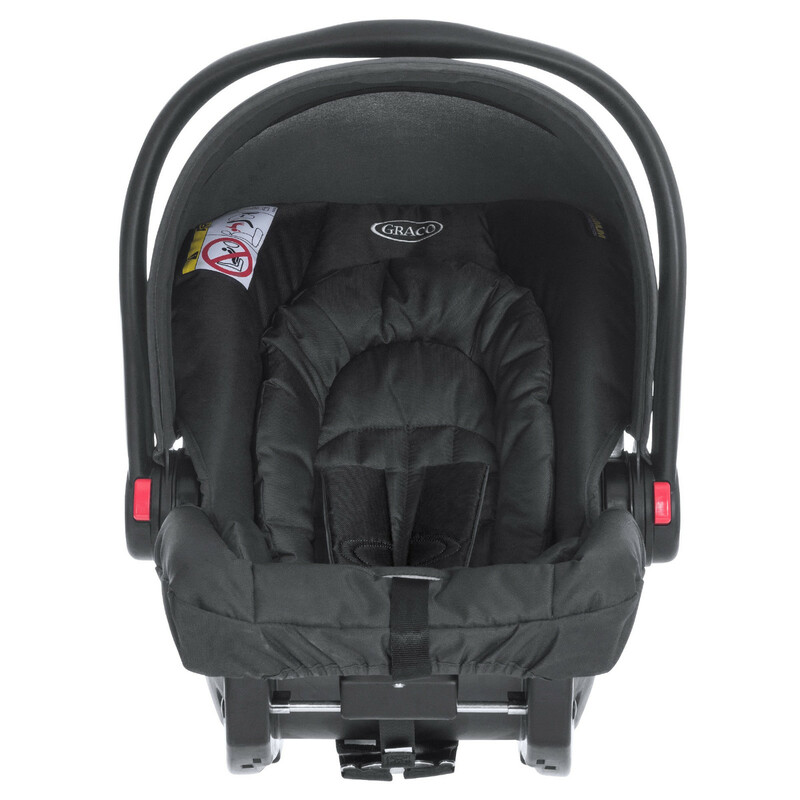 Secured in your car using the vehicle’s 3 point safety belt, the base features an integrated belt lock-off which secures the base in place and allows the your car seat to be clicked on and off quickly, easily and with minimal fuss. There is also a support leg for further stability. 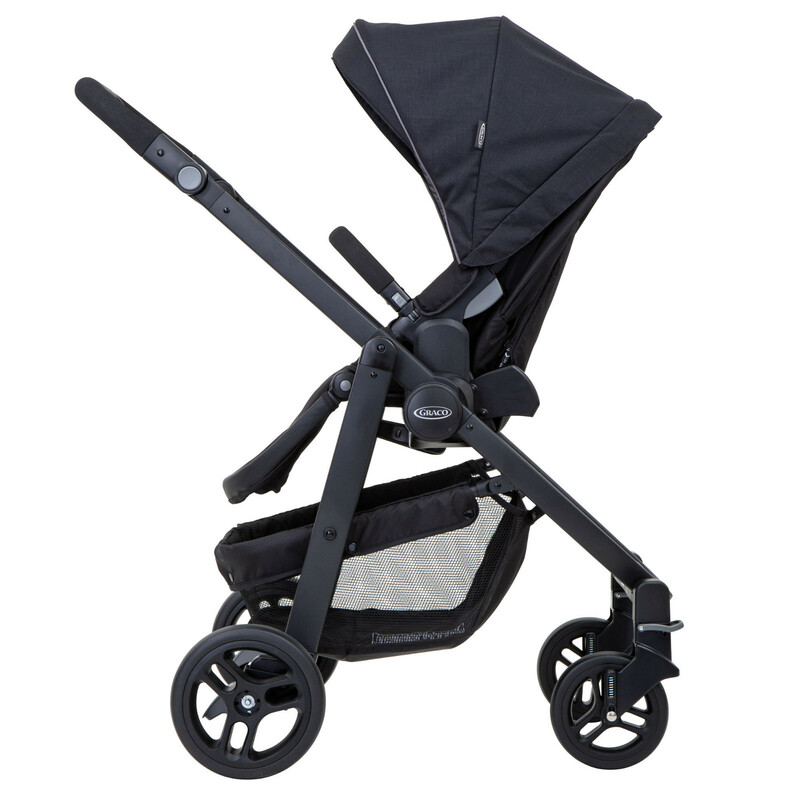 Versatile pushchair with reversible seat and 3 recline positions to lie flat.